Welcome to our monthly member news. We hope this information will keep you up to date on events and other important information from members of the Hunt Valley Business Forum. If you would like to promote a member event or workshop, please send a paragraph or two describing the details of the event in MS Word or text format. If you would like a photo to accompany the announcement, please forward a .jpg file with the text. Content will be published exactly as submitted. As part of a previously announced deal, PayPal and Synchrony have agreed to transition the servicing and collections responsibilities for U.S. PayPal Credit to Synchrony. As a result, the PayPal site operations in Hunt Valley will close. If you’re looking for quality people and would like to share any opportunities with the impacted PayPal employees, please contact Barbara Pratt at bpratt@paypal.com. Looking for an organized, multi-tasking individual to joining our Commercial Lease Administration team. Will be responsible for overseeing the tracking of all financial obligations with respect to all commercial lease properties, maintaining MRI with respect to all facilities to include rent and operating expense data, expiration dates with respect to leases, renewal options, and termination rights, etc. and other pertinent information in regards to all properties leases and subleases. Please submit your resume to Tiffany Hubbard at thubbard@hillmgt.com. Ring in Spring at the Baltimore County Spring Soiree at the Fire Museum of Maryland! The Fire Museum of Maryland showcases 16,000 square feet of exhibitions honoring the history of firefighting in America. This impressive space is not only a museum, but a unique special event venue option in Baltimore County! To kick off the start of this spring season and the opening of the Fire Museum of Maryland event space, please join us for the 2019 Spring Soiree. Take in the deep history the museum has to offer, enjoy seasonal dishes and libations from several of Baltimore's exemplary caterers, including Atlantic Caterers, Eleven Courses Catering, Liberatore's, The Pantry Catering, ROUGE Fine Catering and Zeffert & Gold! HUNT VALLEY, MD (2/7/19) – Point Breeze Credit Union welcomed Karen Cook, the new Executive Director of The Hunt Valley Business Forum, last evening, hosting the Forum’s Business Mash Up networking event at the credit union’s Hunt Valley headquarters and making a $5,000 donation toward the work being done by the Forum. The Hunt Valley Business Forum is the premier business association in Northern Baltimore County, empowering the development and growth of business in Maryland. “We were thrilled to have the opportunity to host HVBF’s new Executive Director, Karen Cook and the other business leaders of the Hunt Valley community, furthering the mission of the Hunt Valley Business Forum to connect, educate, and advocate for its members on important matters affecting the area’s business community,” says Bernard McLaughlin, President & CEO of Point Breeze. “The vitality of the Hunt Valley business community, and that of the entire Baltimore region, is essential not only for Point Breeze, but for all of the other companies and nonprofits in the area to compete effectively, now and into the future,” McLaughlin continues. Point Breeze currently provides financial and volunteer support for a wide range of organizations throughout the Baltimore area, including Arts Every Day and Bridges – two initiatives aimed at helping students in Baltimore City – and the Carroll County Hospital’s new Neonatal Couplet Care Program. Point Breeze Credit Union is one of Maryland’s largest credit unions, with more than 57,000 members and assets exceeding $770 million. A full-service financial institution that is member-owned and not-for-profit, Point Breeze offers easy, reliable banking through offices in Hunt Valley, Rosedale, Bel Air, Westminster, and Owings Mills, as well as more than 5,600 Shared Branch locations and 30,000 surcharge-free ATMs nationwide. Membership in Point Breeze is open to individuals who work, worship, or volunteer within 20 miles of a Point Breeze location. Point Breeze is federally insured by NCUA and an Equal Housing Opportunity lender. For more information, visit www.pbcu.com. Photos from the February 6th "Business Mash Up", hosted by Point Breeze Credit Union, are now online! Are you having difficulty finding skilled, hard-working and responsible employees for your business? The Arc Baltimore provides Supported Employment services to over 500 employees with intellectual and developmental disabilities at many businesses in the Greater Baltimore area. Many companies take advantage of the services and reap the benefits. Some of these benefits include, job development, job coaching, Federal and State tax credits, and turnover prevention. The Arc Baltimore will work with your business to determine your personal needs and an employer and work with you to tailor their services to meet those needs. A job coach will be provided who is well acquainted with the employee and work directly with them through orientation and provide one-on-one, on-the-job training and support until the person performs all the job tasks to the expectations of the employer. Businesses who hire individuals with disabilities may be eligible for sizable federal and state tax credits. Businesses that have a high turnover rate for lower level positions can prevent the hassle of constant rehiring by taking advantage of The Arc’s services and hiring employees who are eager for the chance. Many supported employment situations last for decades in positions that otherwise experience considerable turnover. The Arc Baltimore can provide your company with loyal and dependable employees whose intellectual and developmental disabilities are outweighed by their outstanding attitude. They are skilled, reliable and motivated. They don’t just need a job; they want a job. This under-utilized workforce can strengthen the diversity of yours. To learn how The Arc’s workforce solutions can add value to your company contact Nadeem Yousaf, 410-296-2272, nyousaf@thearcbaltimore.org. 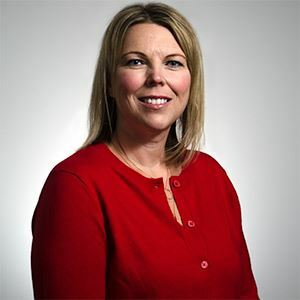 The Board of Directors of the Hunt Valley Business Forum is pleased to announce that Karen Cook has been named Executive Director. “Karen has a unique skill set well-suited to this position. She has a contagious enthusiasm and is full of ideas. We’re excited for the future of the HVBF under Karen’s leadership," said HVBF Board Chair Amy Smolenski. "I'm excited and looking forward to serving HVBF and leading the next chapter of its success," Cook added. "The Forum's presence in Baltimore County is important to our business community and our residents, and I am honored by this opportunity." HVBF members will have an opportunity to meet Karen at the February 6th "Business Mash Up" hosted by Point Breeze Credit Union. Admission is free for members but registration is required. Please join us in supporting Karen and The Hunt Valley Business Forum! Comptroller Peter Franchot's office is accepting nominations for a new award recognizing businesses that celebrate the guiding values of independence, innovation and investment that define Maryland's local business community. The "Cornerstone Award for Local Business Excellence" celebrates businesses that strengthen Maryland’s economy, generate jobs and tax revenue, develop new ideas that more effectively deliver services and products within the marketplace and are a leader in their local community. Nominations will be accepted through December 31. One business will be selected from each of Maryland's 23 counties and Baltimore City. Awards will be presented from January through the end of June. Businesses of any size are eligible for the award. Click here to view the full press release. The nomination form can be found by clicking here and also at marylandtaxes.gov. If you have any questions, or would like additional information, please contact Alan Brody at abrody@comp.state.md.us or 410.260.6346. 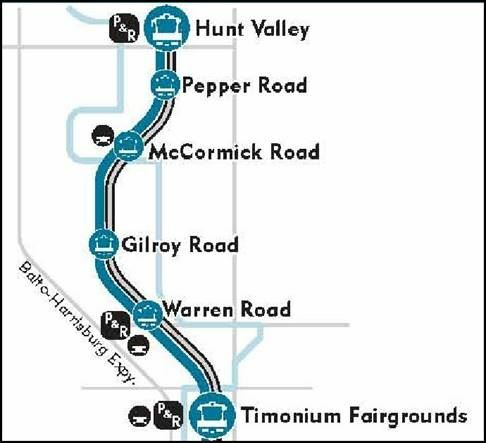 Baltimore Light Rail System will be down between Hunt Valley and the Timonium Fairgrounds from 6:00PM on September 14, 2018 to 3:00AM on October 5, 2018 for track maintenance. Please contact Stacey Hill with any questions or concerns. Her contact information can be found below. Atlantic Financial Federal Credit Union (AFFCU) is proud to announce the recent changes to its Board of Directors, including the appointment of a new Board Chairman, as well as two new board members.